Few places inspire the imagination to wander as far and wide as the great expanses of North East Greenland where the tiny community of Ittoqqortoormiit serves as a gateway to the world’s largest national park. Drifting sea ice, abundant wildlife, rugged mountains, and abandoned hunting stations are the hallmark of one of the most isolated regions on the planet and very few people venture into this region every year. East Greenland’s main town, with a population of 1,899 (2016). The town has a relatively large hotel, a museum, and a visitor centre with a souvenir shop. Tasiilaq has many great hiking trails, of both short and long distance. 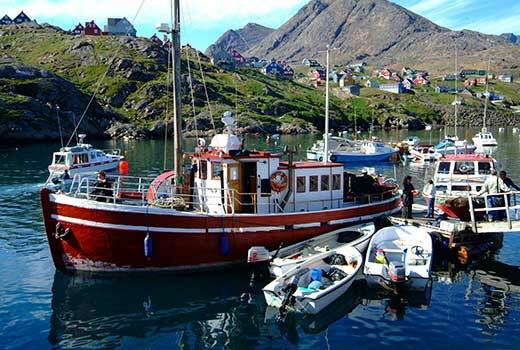 Wandering around in town, you will see sled dogs, dog sleds, small fishing boats, dried fish hanging from drying racks, kids playing outside, and just how the local lifestyle takes place. Trans Ocean Kreutzfarten, Cruise & Maritime Voyages, Hapag-Lloyd Cruises, Plantours Kreutzfarten, Phoenix Reisen, Fred. Olsen Cruise Lines, Albatros travel and Hapag-Lloyd Cruises will visit Tasiilaq during 2017. 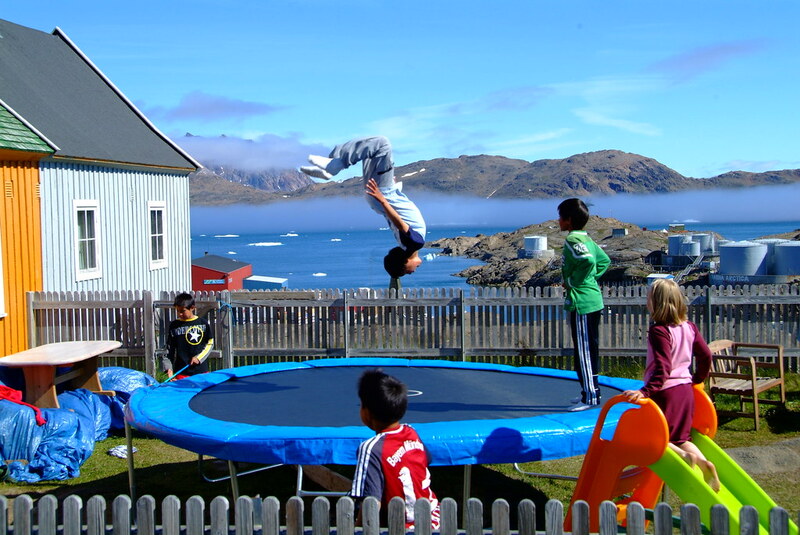 The settlement, which is also the location of East Greenland’s main airport, has around 240 residents. 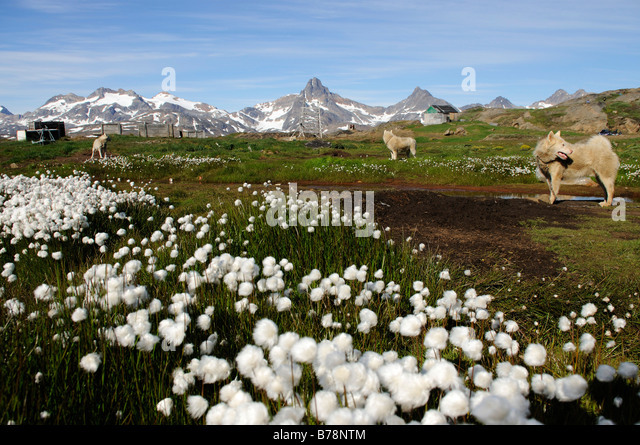 It’s a popular starting point for both hikes, ski touring trips, mountaineering trips, boat trips, dog sled trips and more. The settlement has a general store and a small hotel. You can sometimes also experience performances of inuit drum-singing. Kulusuk was last visited by Quark Expeditions in 2016. One of the most isolated inhabited places in the world. With over 525 miles to the nearest town, Tasiilaq, this settlement with around 360 people, is a harsh, but beautiful place to live. It’s located at the mouth of one of the world’s largest fjord systems, Scoresby Sound. The world’s largest national park has it’s southern border just 106 miles north of Ittoqqortoormiit. National Geographic Expeditions, Silver Explorer, Albatros Travel, Hurtigruten, Poseidon Expeditions, Quark Expeditions and Hapag-Lloyd will visit Ittoqqortoormiit during 2017. A small isolated airfield 24 miles west of the small town Ittoqqortoormiit. It was built in 1985 by oil company ARCO, as a part of their oil exploration activities in the area, but was sold to Greenland in 1990. About 15 employees of the airport live close to the airport, which also has a small harbour. There is an Air Greenland AS350 helicopter permanently stationed at the airport, that also takes care of passenger transport to and from Ittoqqortoormiit. Constable Point is the last inhabited place before entering the world’s largest national reserve, the Northeast Greenland National Park, with an area of 375,000 sq mi. 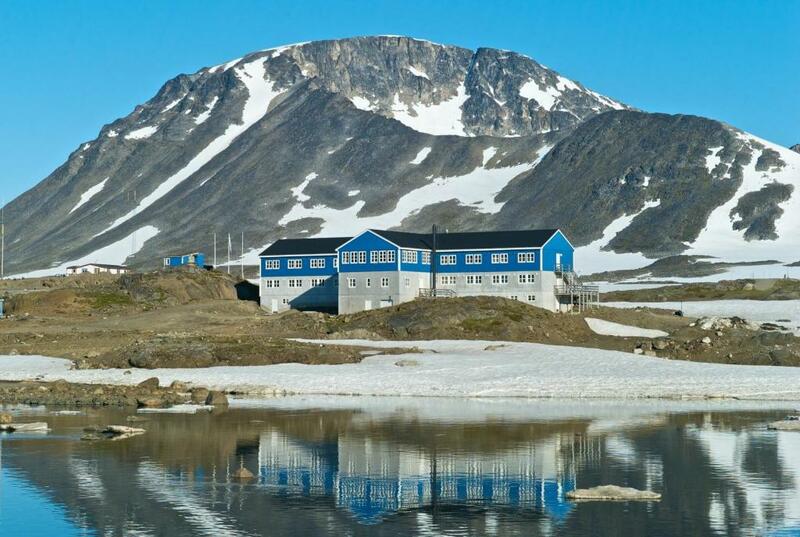 Quark Expeditions will visit Constable Point during 2017.